Volcanoes! They’re so exciting. Any kindergartener will be instantly interested and motivated in studying this natural phenomenon. 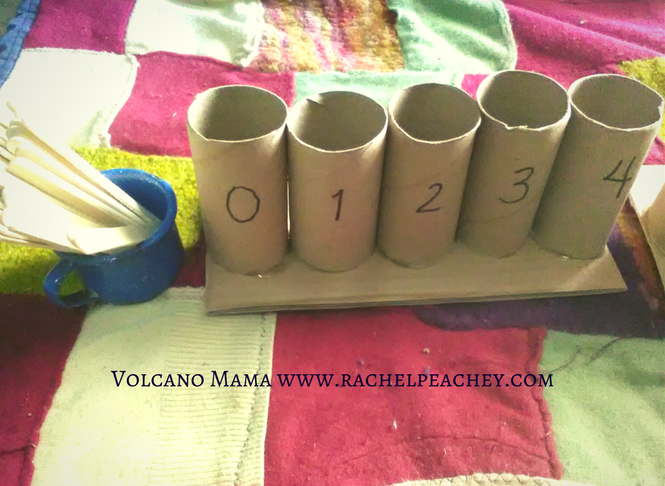 I’ve begun a volcano unit with Peanut this week, so I thought I’d share what I have planned so far with you. Ready for the worksheet? Click here to skip ahead. First, you have to know that we live surrounded by volcanoes. There are 3 of them easily visible from our house, here in Guatemala, a country home to over 30 volcanoes. So, they are part of the landscape. Peanut enjoys watching volcanic eruptions from our house, whether they are just puffs of smoke and ash or fiery night-time displays. So, what can you do to study volcanoes? There are a few ways to do this, and it makes a great opener to your unit. You’ll inspire your little one for sure. Preschool science experiments are a joy. I’ve never met a child who doesn’t enjoy experiments…there’s something about moving things around and often getting a bit messy that awakens curiosity, excitement, and wonder. Well, it’s been a few months since we did this, but Peanut really enjoyed a common preschool science experiment called “Sink or Float.” It’s about as simple as it sounds! I gathered some materials that sink and float such as: a coin, a plastic medicine cup, a twig, two rocks, and a lemon. There ended up being 3 items that floated and 3 items that sank. I suggest you look for items that are made out of different materials such as wood, plastic, food items, metal and nature items. We’re lucky to live near a volcano, so one of the rocks was pumice, and so it floated! Montessori math for kindergarteners is an exciting world of impressive, well-developed manipulatives. This is a material intensive area of the curriculum and one that is often a bit intimidating for those who aren’t familiar with the materials. We started out with very few of these materials in math, and so far are doing just fine. But, if my Peanut made this subject area his favorite, then I’d have a lot of work to do making more materials! The traditional Montessori math spindle boxes lay flat and use rounded sticks. But, with a lack of resources, we went ahead and made our very own set featuring toilet paper rolls and popsicle sticks! Simple, yet effective. Montessori language for kindergarteners is an addiction of mine. It’s one of my favorite things to have fun with, adding in new activities and shaking things up as much as possible. Lucky for me, Peanut loves it too! He’s been flowering, really showing interest in learning letter sounds and even starting to write them on his own. To be honest, we started working on this months ago. You can see how we started learning the ABCs in this post here. Montessori geography for kindergarteners is such fun! Kids love the hands-on approach to learning about their world. Montessori designed the primary or preschool program to help answer children’s questions about the world we live in. Quick note – this is part 2 in a series about how to begin Montessori Homeschooling. Click here to see part 1! Peanut has really enjoyed our first geography lessons. What did we start with?